Am I a good candidate for Abdomen treatments? Results may vary because everyone is unique whether it is physical attributes, skin or health conditions, lifestyles, and/or personal goals. These factors also impact how soon you will see results. Many clients have seen slight improvement even after their first treatment. Generally, results will be apparent following the third or fourth treatment. After a series of treatments, you can expect to see tighter skin, softening of wrinkles, a plumper, fuller and more youthful appearance, reduced cellulite and a more contoured silhouette. Long-term results can be achieved in approximately 6-8 treatments. However, it will take several weeks to see the full effects of your results after completing the last treatment of your treatment series. The number of treatment sessions needed to see optimal results usually depends on the area being treated—a minimum of six treatments is usually recommended for the face, with eight for the neck and other parts of the body. 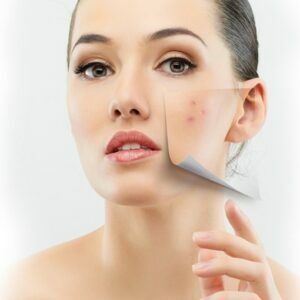 That being said, it is not uncommon for patients to see continuing improvement in their skin up to three months after the series of treatments is complete. Because everyone is different, we recommend a complimentary consultation if you are interested in the Venus Legacy. During a consultation, we will review your medical history, evaluate the area to be treated, and discuss your aesthetic goals to ensure that the Venus Legacy is the best treatment for you. *This treatment is not indicated for individuals who are pregnant, or who have implantable defibrillators, cardiac pacemakers, or other metal implants.